Around 100 Corporation contractors have alleged that contractors are forced to pay 18 percent of the total project cost as bribe to receive the work orders from the civic body. 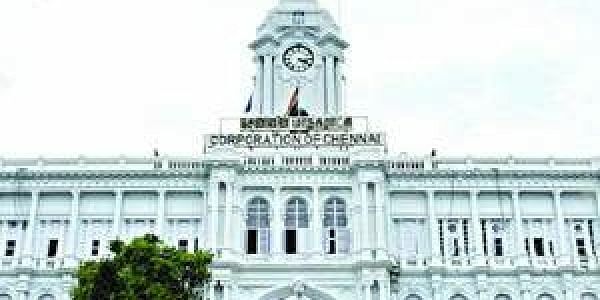 CHENNAI: Around 100 Corporation contractors have alleged that contractors are forced to pay 18 percent of the total project cost as bribe to receive the work orders from the civic body. While the contractors did not disclose the details about the palms that have to be greased, they suggested corruption exists at both, political and bureaucratic levels. “At this point we do not want to mention names but hands officials trusted with calling for tenders, are not clean,” said H Chandra Bose, a corporation contractor, addressing the media at Ripon Buildings on Thursday. The contractors alleged that they haven’t been getting any work over the last four years because of clubbing of tenders as packages and bidder collusion arranged by mid-level bureaucrats. “We have voiced our grievances to the corporation commissioner and the principal chief engineer. Both of them said action would be taken to ensure a transparent tender process,” said R Karunanidhi, a senior contractor. Earlier in the day, while addressing the issues of bidder collusion, cartelization, Corporation Commissioner D Karthikeyan, said that Corporation has been scrutinizing the recent package tenders. “We will probe the allegations,” Karthikeyan said, responding to Express’s question about allegations of favouritism in awarding contracts levelled against principal chief engineer. While the Corporation has justified packaging of tenders by saying it helps monitor work and maintain quality, contractors claimed that it was just an excuse to benefit 20 ‘chosen’ contractors. “These 20 contractors swallow more than 80 percent of all works. What will the other 450 contractors do?” argued a contractor. It is at all levels. The contractors pass this "Service charge " to citizens. Whether it is sewer or water connection Citizens should be offered to pay it online and get their work completed in 30 days. This way transparency will be known if it it is done by computer.